Improve the curb appeal of your Cincinnati home while reducing monthly bills with new doors from Sterling Exteriors. We install top-quality Polaris doors that are designed and built to provide structural strength, security and superior energy efficiency. That means less energy lost through your doors and lower home utility bills every month. 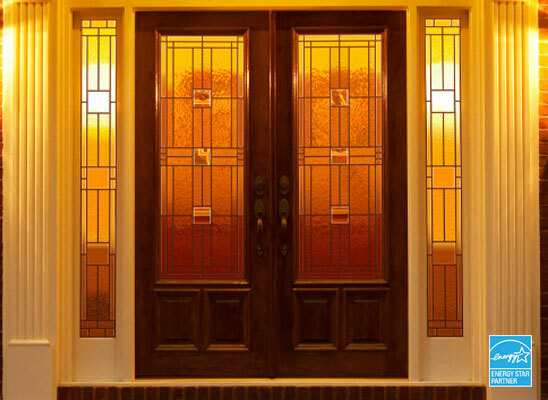 Plus, our doors are designed and finished with the quality and beauty your home deserves. In addition to your new doors we can also install columns for the interior and exterior for your home. We work closely with you to choose the correct look for your home by taking you to the showroom of our local partner, Hyde Park Lumber, where you can find the ideal columns that match your home’s look. Once the columns are decided Justin will oversee the build to ensure that they are installed perfectly. And with our 10 year labor warranty you can rest assured that your columns will last for years to come. Let Sterling Exteriors help your home make a great first impression with a professionally installed door. Contact us for a free estimate today by calling (513) 322-4777 or completing our online quote request form.